If you have dreams of cruising the Med on a boat whilst everything is done for you, read on. If you want to live the dream of cruising Ibiza's waters, then chartering a boat is a no-brainer. For a reasonable per-person sum, you can enjoy anything from a luxury yacht for you and your friends and family down to a smaller boat that doesn't require a license. You'll get a window onto the coastal beauty of this spectacular island all with a soundtrack of blissful beats. 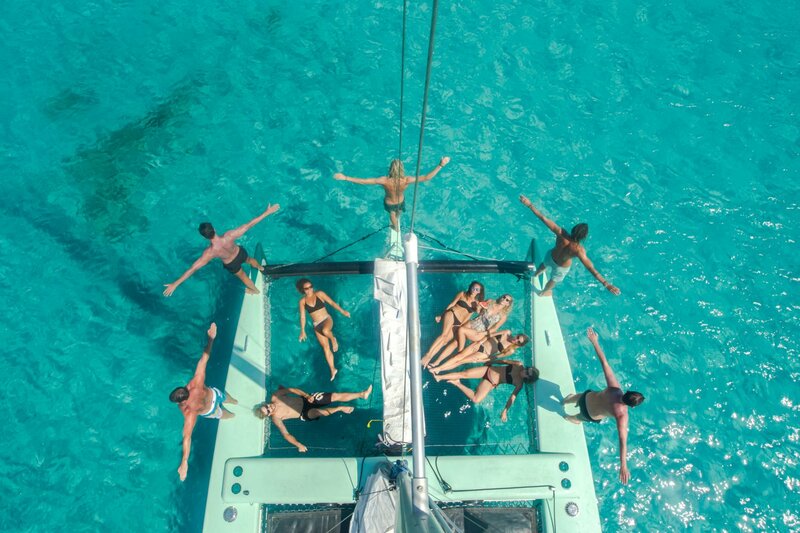 A boat charter could be one of the most magical Ibiza experiences you can have. By day you'll see cloudless blue skies, pretty outlying islands, secret coves and dramatic rock formations. By night, it's sunset cruise time when the Cava comes out. Food and drinks are usually provided on the yacht trips. Many also offer water toys like seabobs, that take you above or below the water and some carry Stand Up Paddle boards. Ibiza Spotlight has a dedicated boat charter section, organised by type of boat and number of people. Some companies offer full and half day rental. Choose from sleek catamarans, motor launches, speed boats and luxury yachts. And remember, the larger the group, the lower the per-person cost. So simply decide which boat and option suits you and your budget best and send your request. The majority of the companies operate during the summer season only: May to the end of October is the usual timeframe, with some opening for business from April. Our tip: Book well in advance to guarantee availability of the boat of your choice.